Hello there! Thank you for visiting the Confectionery Capers Website! We think you will enjoy the experience immensely! 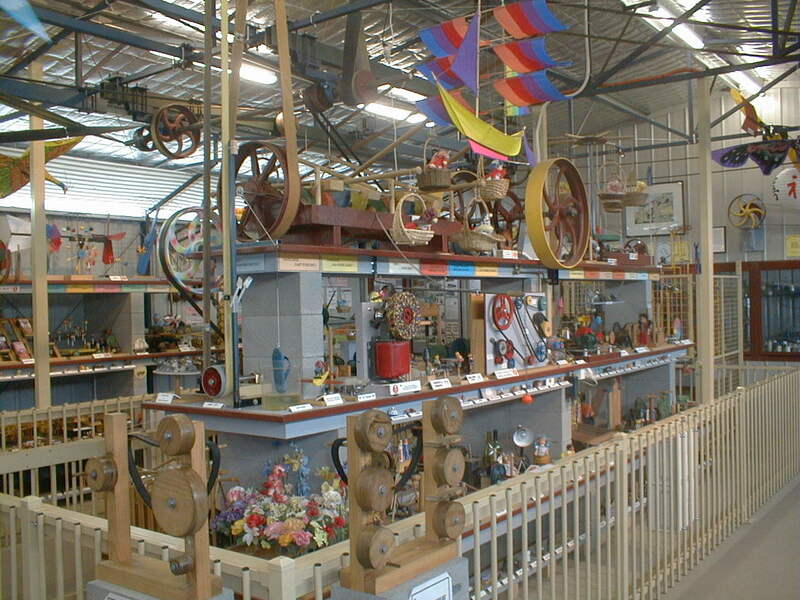 This site is a reflection of the 'Confectionery Capers' tourist attraction which is located in Junortoun (near Bendigo, Victoria, Australia). 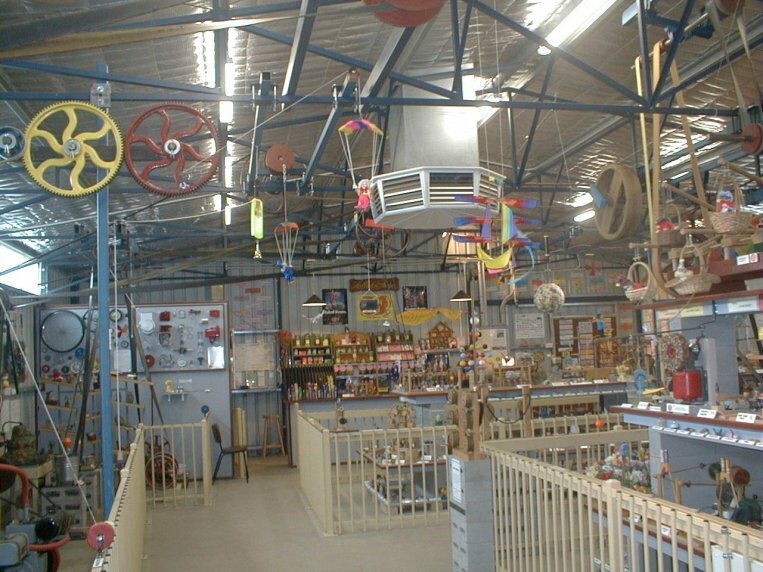 Confectionery Capers is becoming a popular tourist destination for visitors all over Australia and indeed overseas. It is only a small operation but it is extremely novel and highly stimulating for people of all ages and backgrounds. It is also very popular with community groups and organisations - particularly schools. The Website has a section on each of Confectionery Capers' four main elements. These are quite diverse and seemingly unrelated but at Confectionery Capers we have blended them together in a most intriguing and entertaining manner. THINKING.... Confectionery Capers stimulates creative and lateral thinking with hundreds of mechanical and language displays which have hidden or oblique meanings which only reveal themselves after the press of a button or the interpretation of a caption. The captioned language displays are called 'Capergrams' and 'Caperphrases'. Capergrams consist of either a cartoon or a three dimensional object with a caption underneath. The visitor must make some logical connection between the object and the name. Caperphrases are similar but rely on interpretation of text alone. THE WHEEL.... At Confectionery Capers the WHEEL is celebrated as man's greatest invention and is the central component of all the simple (and not so simple) mechanical displays. There are dozens of crazy machines, old internal combustion engines, model trains and many examples of old fashioned overhead line shafting. Confectionery Capers is a mechanical extravaganza ! LANGUAGE.... Throughout the building there are numerous displays which explore and highlight the quirky but fascinating nature of the English Language. The language lends itself beautifully to manipulation, misinterpretation, distortion and invention. Examples are everywhere at Confectionery Capers. The anomalies, the inconsistencies, and the aberrations of English are all explored at Confectionery Capers! Many of the displays require intensive creative imagination before they can be interpreted. CONFECTIONERY.... Even though Confectionery Capers is not primarily about confectionery, it provides a colorful (and tasty) marketing medium which 'glues' the many diverse displays together with a common theme. Visitors will see confectionery displayed in ways never before witnessed and, of course, if they are tempted, they can purchase some from the small lolly shop inside the building. 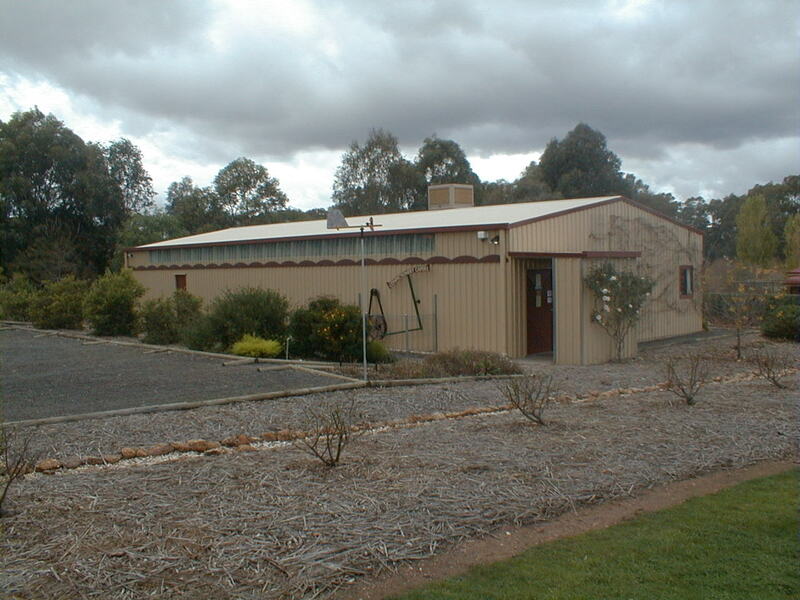 Confectionery Capers is set up in a good quality steel building at our site 10kms east of Bendigo, Victoria, Australia. Everyone is welcome. Organised groups and schools can enjoy tailor made presentations to suit their special needs. I'm sure you will be delighted with what you see!! In the meantime, explore the site at your leisure and share with me my passion for CONFECTIONERY CAPERS. There is something for everyone !! Thanks again for visiting ..